​There's an entire universe of possibility and wonder waiting behind the thin veil of BS that keeps most of us stuck in our smallness. We've been tricked into calling the veil "reality," and rarely, if ever, do we question it. Stories however, are incredible mischief makers. They possess the ability to guide us beyond the veil and into a world where the impossible is becomes possible so we may reclaim our "MUCHNESS!" "Personal insight comes in a variety of ways. different and unique ways that open windows you didn't know were there! Refreshing; surprising; playful; full of mischief. Never a dull moment." First, you fill out a few questions and send them back to me. Then, we get on the phone and kick said answers around to see if there's any creepy crawlies hiding underneath them. Together, we'll form a super clear intention for our journey together. Next, I drop in. Into a collection of stories, movies, poems, and varied prison keys to choose from. When I surface, I hand you the story that wants to be told so that we can make with the unlocking. After that, you go have fun exploring the story. I'll give you some loose instruction but basically, you will allow the story to work its magic on you. Or not, it's up to you really. Finally, we get on the phone again in order to decode the mythic and archetypal implications of the story as it relates to your intention. And the journey continues. "Myths are intended to break the spell of time and release us ​from the pressures ​and limitations of daily life. Myth speaks to the extraordinary in us ​and to the innate nobility of our souls." That's $50 off my regular price which is why this is a one time offer. 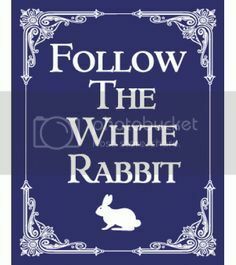 If you're ready to dive down the rabbit hole with me and loosen your grip on the bits of "reality" that are keeping you small, well then follow the white rabbit. Once I receive word that you're at the threshold, I will contact you telepathically... or by email. "I wanted to thank you for your skillful and artful professionalism. Story mischief was such a well designed entity of work; from the description, through the calls and the wrap up. Thank you."